Over 550+ viewed today, so act now before it’s gone! Each bag is outfitted with a set of 4 360° spinner wheels, side and top carry handles, and a telescoping aluminum handle, which make it easy to tow them through crowded spaces like airport terminals. 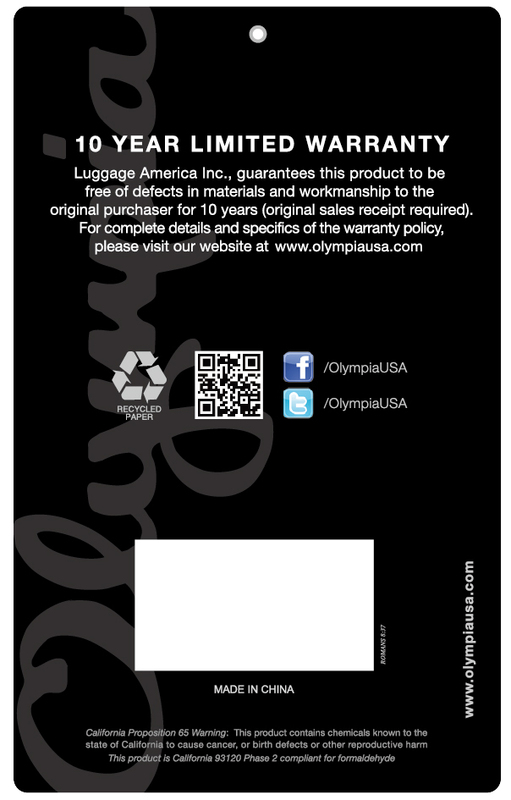 10-Year warranty from Olympia USA. We bought a set a year ago, and loved it so much, we bought another. Great value. The suitcases are so nice and just as I expected. Can't wait to use them when we travel next month. Nice looking luggage, looking forward to using it and seeing how it holds up to the usage. I love this set of luggage. My favorite part is the hidden pocket for my laptop. It makes it much easier to take it out of my carry on without having to unzip the while thing.